Trick out your vehicle with this unique "Raceway" pinstripe tape kit. Available in one of four (4) print colors, kit includes eight (8) 96" (243.84cm) length strips that will easily apply to any clean painted surface. 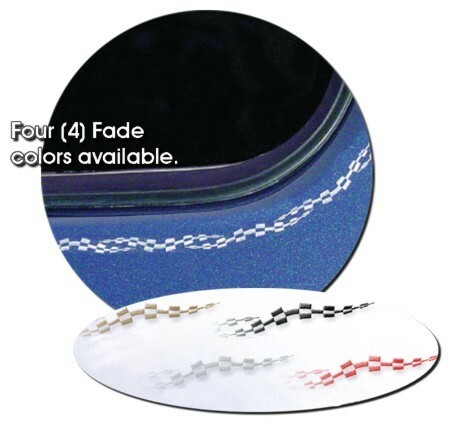 Waving Checker Flag graphic is thermally printed on a clear 1/2" (12.7mm) wide stripe tape. More than enough striping is provided for an installation on any car, truck or motorcycle. Pattern is easily repeatable for a continuous application.